Need Materials Help - stainless steel mesh - Miata Turbo Forum - Boost cars, acquire cats. Need some materials help. A customer car in our shop (07 Lexus LX470) needed new catalytic converters, so we replaced them. New cats didn't come with new heat shields. The clamps that hold the heat shields against the catalytic converter have sortof a stainless steel mesh type material that gets compressed by the clamps to avoid rattles. Unfortunately about half the mesh has fallen off the clamps, and the clamps are too loose without them. I spent a couple hours searching for replacement clamps but Toyota doesn't even list them. I then spent wayyyyyy too much time looking for the right filler material online to reuse these old clamps with no luck. 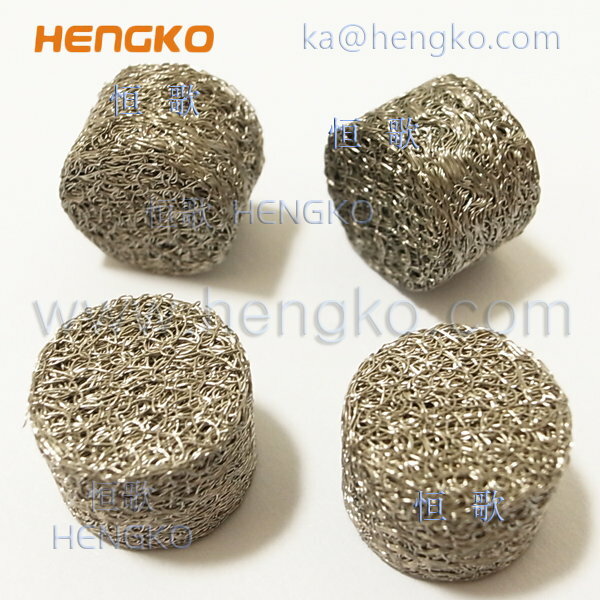 This material will come fully in contact with the outside of the catalytic converter, so it has to have a very high heat tolerance - I don't think normal steel wool will work. I have attached a picture of the type of material I think I need - the weave on this looks very similar to what's on there - but I need it to be maybe 1/4" thick sheet, not a puck. One final problem... I don't need a bulk roll of it. I seriously need 4 pieces. Obviously willing to get more than that, but I don't want to spend a bunch of money to solve this little problem. Thanks man. That second one might work. First one is much too... fluffy. Need something that's going to compress and then hold that shape and be robust. And if it doesn't work, you can use them to clean your stainless pans! Thanks gents. That's exactly what I'm going to try. Hope it works out!